Update (7:00 am, Eastern Time, May 6): Five are criminally detained for “creating disturbances (寻衅滋事), and they are: Xu Youyu, Hao Jian, Liu Di, Hu Shigen and Pu Zhiqiang. As the 25th anniversary of Tian’anmen Democracy Movement approaches, a small group of people, consisted of Tiananmen mothers, scholars, dissidents, writers, held a seminar in Beijing on May 3rd to remember the event, discuss its impact and consequences, and call for truth finding and resolution of remaining issues. Less than two days after the seminar, multiple disappearances have been reported. front — Zhou Fan, Xu Youyu, Zhang Xianling, Qin Hui, Ye Fu, and Pu Zhiqiang. Cui Weiping （崔卫平，professor at Beijing Film Academy）, Guo Yuhua (郭于华, sociology professor at Tsinghua University), Hao Jian (郝建, professor at Beijing Film Academy), Hu Shigen (胡石根, dissident, former political prisoner and former lecturer at Beijing Language and Culture University), Li Xuewen (黎学文，independent scholar and writer), Liang Xiaoyan (梁晓燕，Tiananmen participant, former college teacher and currently NGO leader)， Liu Di （刘荻, dissident writer, imprisoned for over a year for her online expressions in 2002）, Pu Zhiqiang (浦志强, rights lawyer), Qin Hui (秦晖, historian at Tsinghua University), Wang Dongcheng (王东成, professor at China Youth University for Political Sciences), Wu Wei (吴伟, independent scholar and former official in Zhao Zhiyang’s time in 1980s), Xu Youyu (徐友渔, researcher at the Chinese Academy of Social Sciences), Ye Fu (野夫, independent writer), Zhang Xianling (张先玲, Tiananmen mother), Zhou Feng (周枫, associate professor at China Youth University for Political Sciences). Four people couldn’t make it but sent written comments: Chen Ziming (陈子明, dissident scholar), He Weifang (贺卫方, legal scholar at Peking University), Murong Xuecun (慕容雪村, independent writer) and Wang Xiaoshan (王小山, independent commentator). The seminar, held right under the authorities’ nose as an activist puts it, is considered by many an audacious act as the Chinese government is clearly nervous about the approaching anniversary, and more so this year. Pu Zhiqiang in 1989, a student at China University of Law and Political Science. At 4 am on Monday, Beijing time, police took rights lawyer Pu Zhiqiang away from home. And in the afternoon between 2 to 4, police raided his home in Beijing, taking away books, laptops and cell phones. Hao Jian has been out of reach since Sunday, and his home is reported to have been raided too on Monday. In addition, at least Hu Shigen, Liu Di and Xu Youyu, who was taken away by police around 5 pm, Monday, are still out of reach so far. Cui Weiping, Guo Yuhua, Qin Hui, and Wang Xiaoshan were questioned by police and have since been released, according to information available on social media. A source told China Change that Liang Xiaoyan has been taken on a forced “trip” out of Beijing. The same source also told China Change that the Chinese security police had been calling the attendees prior to the seminar likely in an attempt to stop the meeting, but none answered the phone. The Beijing-based independent journalist Gao Yu has been disappeared since April 24. She was due to attend a June 4th-related event in Hong Kong. According to Teng Biao, Yao Jianfu (姚监复), another independent scholar and a close friend of Gao Yu, is also missing. May 4th, 1989, Tiananmen Square, Beijing. Over the recent days, there have been reports that dissidents and activists are being “shang-gang” (上岗) – placed under house arrest — ahead of the Tian’anmen anniversary, including Mo Zhixu (莫之许) in Beijing and Ye Du (野渡) in Guangzhou. The number of those put under such arbitrary detention can be big over the next month or so. During the seminar, attendees said that, while people may have different views about the June 4th movement, one thing is for certain: it is not a riot and nothing justifies opening fire on unarmed citizens. Some attendees expressed their views that the June 4th military crackdown sowed seeds for today’s social ills in China. While power abuses, mistreatment of ordinary people, tolerance of corruption, and disregard for justice are inherent in China’s political system, they have become rampant and uncontrollable since the June 4th crackdown. The attendees emphasized that there is no need to ask the authorities to clear name for the June 4th movement, for people are the judges of right and wrong, not the authorities. What they ask the Party to do, and what they themselves are doing, is to find and restore the truth and build fairness and justice through a political transition. 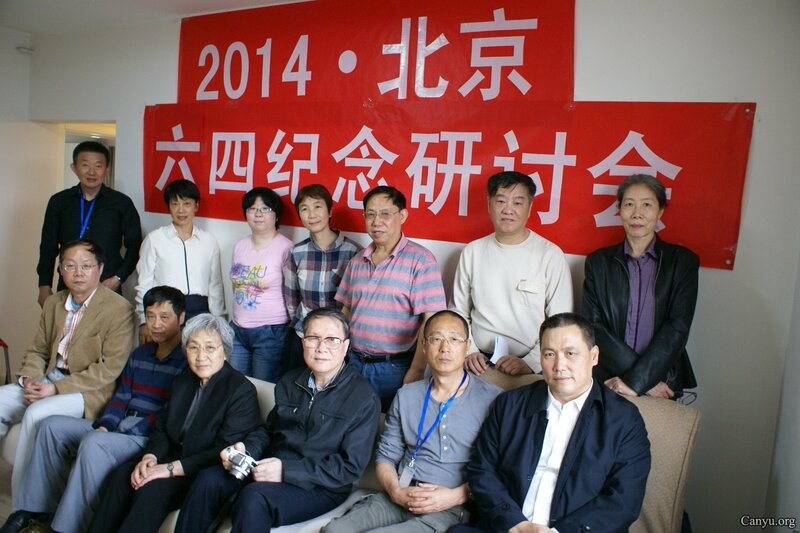 By China Change in Human Rights & Civil Rights, Reports, Rule of Law on May 5, 2014 . The so-called Tiananmen Square “Massacre” is one of the most misleading events the US government and the Western media have used to demonize the Chinese government each and every year since 1989. There was ample silent evidence in the images produced by the Western media that told the story of a highly restrained and caring Chinese government facing a protest similar to those in the West at various stages of their economic development. 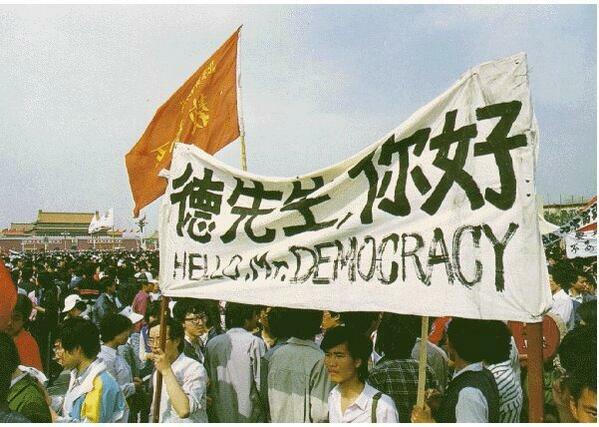 However, the West and anti-communist forces had capitalized on the situation in 1989 to fuel the public’s anger, intending to overthrow a good government. How the Western media lied about a massacre given the silent evidence that suggests otherwise, and the moral implications of Western powers making use of common pain and dissatisfaction within an economic cycle of a society to justify the overthrowing of governments across the globe are issues that this book is structured to explore. I hope this anti-China website will not delete this posting. How do you know this is an ‘anti-China’ website? Surely it’s more plausible to describe this as a ‘pro-China’ website since it is run by a Chinese person with the aim of promoting reforms she believes to be beneficial for China. So your argument is that if only CCTV had better funding and management, China could finally have an open discussion about this in the same way as the rest of the world does following incidents of state violence against peaceful protesters? The logic is flawed. There is a difference between big media in the west demonizing the Occupy Wall Street protesters and big media in China stifling all discussion of similar events here. I’m sure you are well aware the Chinese constitution guarantees similar rights to free speech, rights which the highly sophisticated, well-funded, well-established and well-controlled media industry run by a single ‘corporation’ is now removing wholesale. The difference in your example is simply that people know about Occupy Wall Street and enjoy the freedom to have an opinion and speak about it. This website is not anti-China, you are making the mistake of equating a country and its government. In lieu of a similar space in China, this website is simply a place to have a discussion arbitrarily and illegally banned in China. I doubt your post will be deleted, your opinion is welcome here, but your logic is utterly flawed.